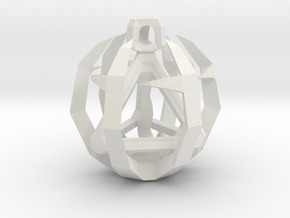 A futuristic variation of a Platonic solid mentioned in Timaeus (one of Plato's dialogues). 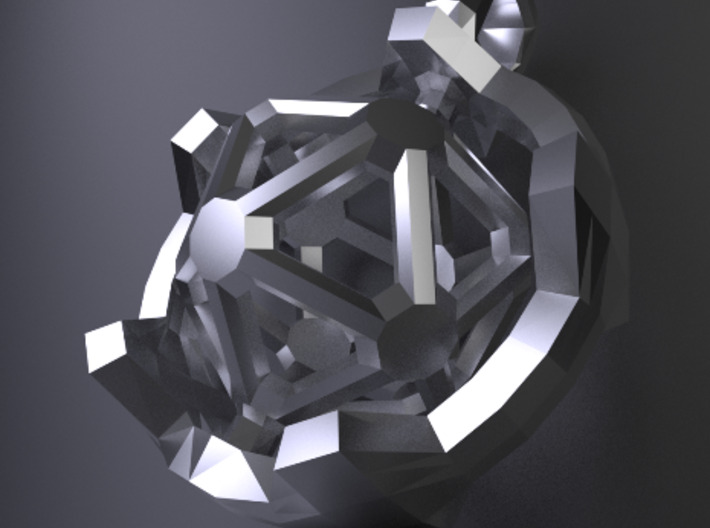 Timaeus claims that the smallest particles of each element have special geometrical shapes. 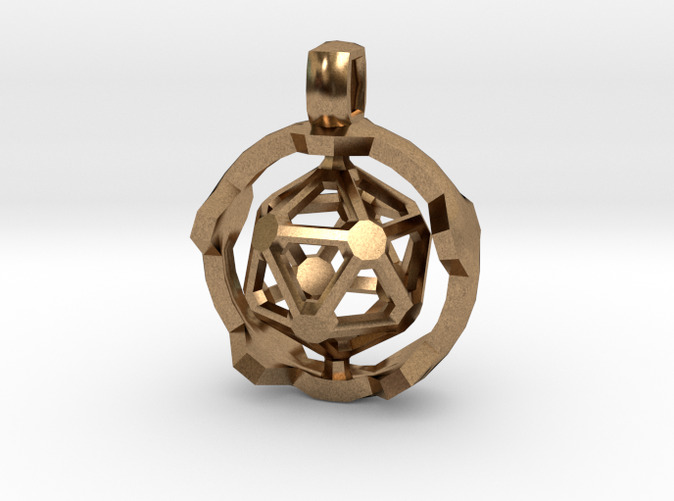 In this case icosahedron symbolizes water. That's a proof that science can be as beautiful as it is fascinating and I hope that you'll enjoy wearing this piece as much as I enjoyed creating it.